Do you resent your weight or food issue? Do you feel upset with yourself for being overweight and not being able to lose the kilograms? It's easy to feel despondent and fall into self-blame, but that just makes the problem worse. Wouldn't it be a better idea to chuck out the blame and welcome the weight issue as something positive - as an invitation to step into enlightenment? People with food issues often 'tune out' while eating - it's like they go into a trance and aren't aware of what they are doing. A spiritual path is about becoming more conscious, so why not use your meal times as an opportunity to become really aware of what you are doing? Savour every mouthful. Notice the physical and emotional sensations as you eat. Let eating become a meditation. When you become more aware, you will begin to pick up on those signals coming from your tummy saying that you're full. Then simply stop eating. The aim of a spiritual practice is to lead you to the calm place within yourself where you know you are OK exactly as you are. People with food issues, however, often feel an emptiness inside that they try to fill with food. Actually, most people have this same emptiness, but they might just fill it in other ways. So begin by bringing awareness to the emotions that drive you to eat more than you should. Is it boredom, loneliness, frustration, guilt? Reach into your core and fill yourself with positive emotion. When veteran dieters tell me about their regimes I begin to think of someone in a very strict religion. Don't eat fat, it's a sin. Don't eat more than a handful, it's a sin. Don't have full cream milk, it's bad. Don't have pasta, it's evil. Actually, what a load of nonsense. The food is not the problem - it's the food addiction that causes all the trouble. Just laying on a whole lot of rules is not going to solve this. So take a leap of faith and realise that food is good and you are good, and stop punishing your body with those diets! The reason you have to count calories is because you can't hear your body's natural signals of hunger and satisfaction. Bring awareness to you eating, savour every mouthful, and keep checking in to ask, "Am I still hungry, or am I full." Your body is part of a well-tuned universe - it knows exactly what's good for it. Finally, do the inner work to resolve underlying emotional triggers. It can help to see a coach or therapist to process those deeper feelings and hurts. Think of it as going to a priest or minister or guru. Let this be part of your practice. In working with weight you are working with your deep life purpose. You are uncovering all the places where you are out of love with yourself. This work might take a lifetime. 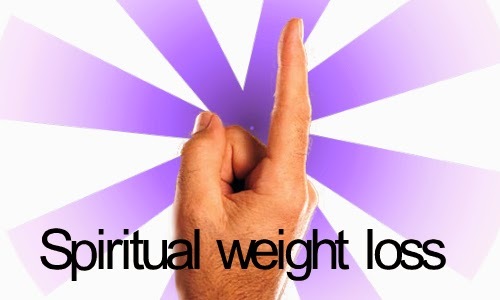 But if you can look at your weight-loss as a spiritual practice, then you will have the comfort of knowing you are fulfilling your purpose and are actually right on track. When you are spiritually and emotionally fulfilled, you won't need to fill yourself with food. It's as simple as that. Russel Brownlee is a writer, hypnotherapist and life coach. Visit http://inspiredcoaching.co.za for more articles and inspiration. You have been wanting to get in touch with your spiritual development. You have decided that taking the time to visit different congregations and different ministries might help you find what it is that you are trying to seek out. This time, you have decided to focus your attention ion attending a Lutheran Church Scottsdale AZ. As a visitor, you want that you will know what to do. Do in accordance to what is proper when coming to these places. You have to understand that the norm that is observed in another church may not necessarily be applicable here. It is always critical that you will find the time to get to know the rules, the regulations that are in place in these institutions. Thus, you get to act accordingly. Take the time to do some research done about these churches in Scottsdale, AZ. You want to know what these institutions have to offer and what you could expect of them if you were to decide to come to them and attend the services that they'll be able to offer. This is crucial so you're sure that they'd offer to you the kind of spiritual experience you are looking for. You might want to talk to people that have been attending these churches for pointers and for tips. They have actually learned the things that need to be done to ensure that you get to find out what er the steps that you need to be taking to make the most out of this experience.Talk to their minister too, talk to them through the phone and ask about the proper way that you should act when visiting. Consider the services that they have to offer to people like you. It is always important that you have a very good idea of the things you want to get if you were to take part in the spiritual programs that they have ion store. This will allow you to get an idea of the many things that await you if you were to be a part of the congregation. Then, you can assess whether this is going to be just about right for you. Be sure to participate in their service. You might want to find out how these programs work. Find out about the order in which they perform these services. For instance, consider the hymns and the prayers and the passages and their order in the service. Then, you can trust that you will be able to successfully participate with the way they get things done whenever they are doing their worship. Do not hesitate to ask questions. It helps that all the stuff that you are not able to properly understand, you raise them into questions. This is important that you you are sure that you are going to have them properly addressed and you are going to end up applying what you have actually learned so far. See if these providers offer fliers and other reading materials for interested people too. Often, they hand out these materials free. Get them and read them and make sure that you understand them. They should help you understand these institutions and their doctrines better. Experiencing the death of a friend or family member can be one of the most difficult times of one's life. Many feel uneasy trying to form the proper words to express their feelings to the survivors. There are just a few rules of thumb that should be followed when writing Sympathy Notes. These tokens of condolence are quite often very comforting to the family both during their time of mourning, as well as their period of healing. They let them know that others share their grief and sorrow. Many times, the hardest part of penning these messages is saying how you feel while taking care not to stir tender emotions. Always remember to keep these messages short. A lot of sentiment can be relayed in just a couple of heartfelt words much better than in a letter. Condolences should never be sent via email or text, rather they deserve to me mailed or carried by hand and are best conveyed as soon as one is informed of the passing, even if it happened some time ago. The best materials to be used are specialized, or blank note cards or fine stationery. Sending a floral arrangement calls for nothing more that the briefest of sentiments as a way of identifying the sender. Even if flowers are sent, one should still have a formal condolence card delivered. Using words and phrases that come from the heart is important in order to avoid coming off as distant and impersonal. Letting the family know that prayers and thoughts are being sent their way is a common sentiment. A simple statement of how much the deceased's presence will be missed is also acceptable. Spirits may be lifted by briefly sharing uplifting memories of the deceased. Be specific when offering assistance so that the family knows whether that means running errands, providing food, childcare or any other services. The main thing is that one the sentiments need to be sincere and from the heart as well as brief. Visit MY SITE today and get your free gravestones online designs for your beloved one. Reading has always been something that you look forward to for your pastime. It is the perfect way for you to spend your downtime on. This does not only allow you to go to places that you have never been to before, but it also allows you to get new thoughts and ideas and knowledge along the way. Right now though, you are more focused on checking out books that are meant to cater to your spiritual side. It has been a while since you have last purchased a book. You know you are running out on reading materials and with your day off coming up, you know that you need to get your stock replenished. You want to find the right christian book store new haven ct to buy these items form. But you have no idea where to head to since you've just moved into your new place. There are going to be a number of places you can find in the are but you want to focus on those that can really get you a very good buying experience. You want that when you come to these places, they will be able to get you the titles, the authors you know are going to get you the best time poring over. Being able to identify the right establishments this time will help you immensely. Be sure to properly research on all the choices and the options that you have first. Before you will decide to shop for books in a specific establishment, it is always going to help that you will consider checking out what it is that these establishments have to offer first. Check around three or more prospects. Then, you will get an idea which one can be expected to deliver better. Consider the kind of reputation that these providers have been able to secure over the years. You need to find out how good their feedback from the customers they have handled before were. This helps so when the time comes for you to refer to them, you will never be disappointed with what it is that they have to offer. Where these stores are located is always worth checking too. You need to see if they are situated somewhere that is very accessible. This is essential so you can trust that you will not have a tough time coming to and from these places. It would be even better if these are establishments that are actually situated near where you reside. Then, it should take you less time to get there. Opt for stores that happen to offer variety. As a buyer, you would expect to be offered with a number of titles and authors that you can choose from. Just make sure though that you check out at least a number of providers first before you decide to buy from them. So, you are sure that you are going to really love the experience. See if the price of the books that these stores have to offer are competitive and reasonable. You might even want to check if they happen to sell old books. They will often be offered at a more reasonable rate. Thus, you can trust that they would fit your preferences best especially if you are shopping for reading materials at a budget that is considerably limited. Read more about How To Choose A Good Christian Book Store. Having a demanding job and all kinds of other problems in everyday life is sometimes enough to make you crazy. Stressful life causes illnesses, anxiety, depression and other issues, and there is no magic pill that could resolve all these issues simply and effectively. If you would like to feel good about yourself once again, maybe you should try different approach. Good old meditation could be the answer. Surrounded with all kinds of people who are sometimes too competitive or dishonest, day after day, you might be full of negative emotions, for example, sadness, anger or simply general disappointment. Indulging in negative emotions is only a huge waste of time, to start with. Whatever someone might say, mindfulness can really change your perspective and make you feel more conscious about yourself..
Group meditative sessions are really effective on most people. The whole thing has nothing to do with religion, although it can be. Buddhism is not the only religion you will find meditative elements in. Most religions practice different forms of it, one way or another. The point is to find your inner energy, the positive one, and to find out more about yourself. Reconnecting with yourself and clearing your mind in peaceful and inspiring atmosphere can only be good for you. Find a moment for yourself and uplift and inspire your life. Positive thinking, clear thoughts and regular pleasant and informal gatherings can do wonders for your state of a mind, and improve your everyday life on the most unexpected way. Different centers offer free online session on their sites. They aren't so effective as the actual gatherings, but you might get an insight. Visit their sites and find a little bit more about them. If you would like to experience the real atmosphere, you have to go there, of course. But you won't be sorry. These people are spreading positive energy, and this really is an invigorating experience. Soaking up all this positive energy on these cozy gatherings is invigorating experience. It affects your state of mind, teaches you how to feel better about yourself and relaxes you on the most surprising way. The most interesting thing is that you already have all this energy inside you, all you need is to learn how to reach and canalize it. If you would like to experience more exciting new things in your life, there are some inspiring workshops you might find interesting. For thousands of years, different philosophies improved people's lives, and you can only benefit exploring some of them. They might help you in all areas of your living, making you better and more successful person in every way. Find a good meditative center to join. Some are better than others, of course, just like in any other field of life. Some of your friends might have heard about some good center in your area. In California, you will find great ones, you just need to go there and see for yourself. Finding a peace of mind is something you can only benefit from. Try something different, and you might be pleasantly surprised. When you want information about meditation, pay a visit to our web pages online here today. You can see details at http://www.warriorsofstillness.com now. The experience of losing a loved one can place a great deal of emotional difficulty on the lives of those left behind, but also financial strain if planning is not implemented for such events. The family funeral services are available to provide support for all individuals who face such tragic circumstances in terms of the selection of burials, cremations, and similar processes. With an investment in a suitable policy, better decisions can be made. Every service is designed to offer smooth and dignified ceremonies for deceased members. It provides closure for all friends and families while professionals carry out policy requirements that minimizes the financial burden that is placed on remaining dependents. With the implementation of the right plans, it is possible to achieve smooth outcomes. In the case of a burial, emphasis is placed on the presence of a coffin that may be viewed depending on the preferences of family members. A memorial procession can be held for individuals who are looking to bid farewell to a deceased and share in past memories. A number of decisions can be made that will provide financial security when facing devastating events. A variety of policies are available that can be purchased according to individual needs. While it is necessary to plan in advance for such circumstances, it is necessary to look into the most reputable companies available. Due to the uncertainty of the future, the right steps can deliver financial protection. A professional business can advise on policy options available and will support families during difficult times. It is important to protect loved ones with the right plans in place. Such measures means that all expenses are provided for when a listed member passes on. The service aims to provide an honorable process and support for all families. Whether a cremation or burial all measures must be put in place to protect from financial difficulty. Matters can be handled efficiently and care taken to honor the memory of the deceased. Did you know that 99% of monuments dealers hated her. Why? Take a look on HER SITE straight off. There are famous songs and famous people but none of had the impact that the Bible has had. The Bible and various Bible Quotes have had life changing affects and provide lifelong values for millions and millions of people around the world. The Bible has been translated into more languages than any other book ever and arguably has had lasting changes in more people's lives than any other book in the world. With these astonishing facts, there are still naysayers who don't believe the value of religion or the Bible itself. When you dissect the Bible and its teachings, you may be surprised to see how close it is to our everyday life. The rules that we follow as individuals and the laws we are bound by are directly related to the Bible. You can see the core principals in the 10 commandments. These values and life lessons are present from the beginning of time and form the basis for modernized society as we know it. Understanding that our laws and actions are largely based on these religious principles from the Bible and lesson from Bible Quotes is the first step. But how is it that people are unable to see the relationships and the associations with current law. Religious principals have laid out most of common law as we know it. It's these principles that make us a better person and allow us all to live together peacefully. The Bible has provided this for us. There are portions of the Bible where stories have been written in a time when all the answers weren't available. These stories often represented interpretations of natural events, feelings, or actions by others. While not always a true depiction of reality, they are often used as lessons for us to learn about ourselves. Why did people act the way they did. Who can blame someone for making a circumstantial decision? Looking at Bible Stories, you can relate them today's world. Regardless of the fact that the story is dated or possibly filled with tales that appear to be unbelievable at face value, there is a meaning. Understanding the Bible means being able to dig deeper and see where the value and the lessons are that help shape us. Stories may be interpreted figuratively as opposed to literally and this is where the Bible has lessons to be learned. These stories or lessons of the Bible provide the core for values we all should exhibit. We should care for one another and treat others the way we would like to be treated. We shouldn't necessarily judge others by their circumstances or decisions. Life presents difficult obstacles and circumstances and people handle them differently. While there may not be a wrong or right way, there certainly are better ways to deal with them. The Bible provides this guidance and has helped millions through similar situations. Regardless of the time you have and it's important to make the bible a priority. Looking at the Bible and understanding its impact on our lives and society, you understand that reflecting on Bible Quotes can make you a better person. While it may not be the literal interpretation, there is meaning in every Bible Quote and there is no time better than now to start making the Bible a priority in your life.